Over thirty years of excellence in the Engineering, Manufacturing, Installing, and Servicing of bulk handling systems is what defines Sodimate, Inc.
Sodimate’s systems have been installed in key municipal and industrial sites across Europe, North America, and the world. From water treatment in Paris to chemical handling in the Gulf, Sodimate’s advanced systems reliably and cost-effectively meet the needs of public and private projects. From handling bulk powders and grains in the industrial bakeries of America’s heartland, to cleaning waste and air in coal-burning plants to comply with environmental regulations, Sodimate’s bulk handling systems serve the facilities’ needs with maximum efficiency and minimum maintenance expense. Sodimate’s innovative 3-in-1 solution allows for the entire process of storing, releasing, and transporting bulk material to be handled within one seamless system. Sodimate’s engineers design all of our equipment to make one complete system. This larger system approach enables our engineers to make design choices at each step of the process to maximize compatibility and efficiency with the other steps. The maintenance cost and down-time for our systems is minimal compared to systems that are pieced together from multiple manufacturers. By having single-source responsibility in Sodimate, customers can rest assured that from the engineering to the manufacturing to the installation and servicing, that one integrated and unified team will ensure a seamless and trouble-free experience. Sodimate’s specialization extends far beyond its origins in water treatment and wastewater treatment. Sodimate offers environmental solutions for waste-to-energy, coal, glass, steel and mining industries. These processes are difficult to execute within the new regulations that are being rolled- out across this decade. 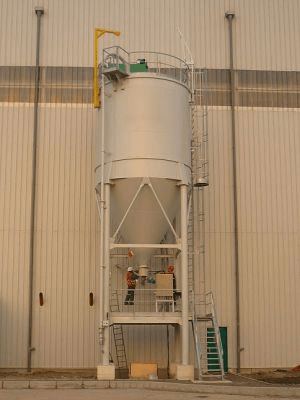 To meet these needs, Sodimate offers dry sorbent injection flue gas treatment systems for the removal of SO₂, SO₃ and acid gases and multitude of other cost-effective solutions. Sodimate is a leader in the bulk handling industry with its innovative 3-in-1 systems; integrating a mechanical bin activator (arch breaker), isolation slide gate, and screw feeder. This leads to more efficient and reliable control of the discharge, feed, and transport of the dry chemical. Our 3-in-1 bulk handling systems are much more economical when compared to purchasing equipment separately. (Bin Activator + Isolation Valve + Screw Feeder). Sodimate uses gentle agitation, rather than vibration or fluidization, when discharging and feeding the dry powder. Vibrators mounted directly on bins or silos can cause issues such as compacting, bridging, and arching. Our silo mechanical bin activator avoids such issues and prevents rat holing and erratic silo discharge often seen with air injection & vibration. Our complete systems are more efficient and cost-effective than having independently manufactured pieces. Our 3-in-1 systems provide flexibility and can integrate up to 4 screw feeders on the same storage tank (Silo, Hopper or Big-Bag). The compact size of Sodimate’s silo unloader reduces installation time and maintenance, and it offers an immediate improvement in production process. Sodimate’s single-source responsibility ensures that our integrated team implements all engineering, manufacturing, assembly, and services. This provides a seamless, hassle-free experience that delivers results on budget and on time. 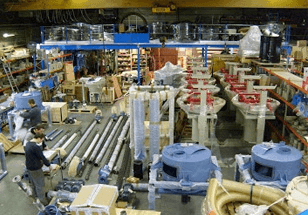 Our North American sales and assembly are done in-house, by high-level Sodimate technicians and dry chemical feed system specialists who fulfill our customers’ discharge and conveying needs. Sodimate’s customers don’t just buy our equipment; they buy peace of mind knowing that from start to finish, they’re gaining access to our whole, industry-leading team with the most reliable systems. The Sodimate experience is professional, efficient, and, most importantly, worry-free.